Cauliflower, the humble vegetable that many of us have seen served on our plates at home or in a Chinese meal trying to bulk it up in lieu of meat. Any preconceived ideas you have on this vegetable I ask you to not be so judgemental. Not only is Cauliflower budget friendly it actually has an impressive nutritional profile. It contains high levels of vitamin A and C, calcium, it is low in fat and carbohydrates and contains high levels of dietary fibre making it a great substitute for rice or potatoes. I personally don’t mind cauliflower and when blitzed into this easy Cauliflower Soup I hope you become a fan too! 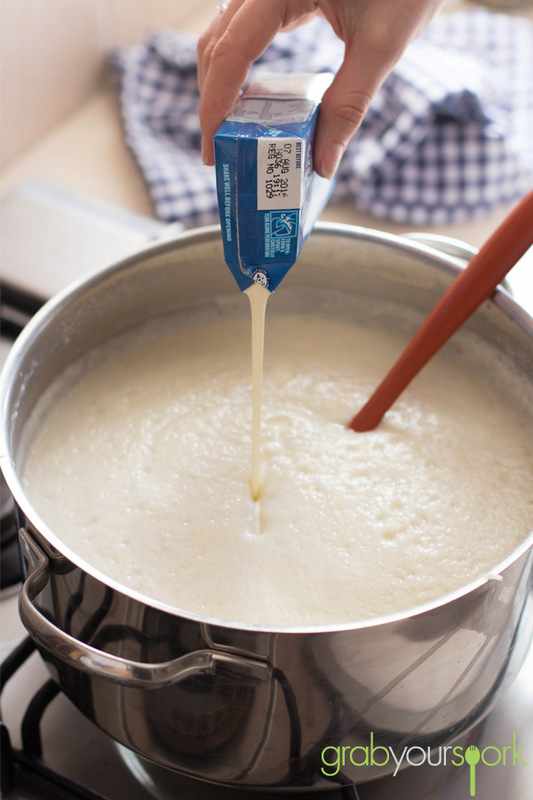 This recipe for Cauliflower soup is so easy to put together. You simply boil the cauliflower in some chicken stock (or vegetable if you wish to keep it purely vegetarian) along with one sliced leek. 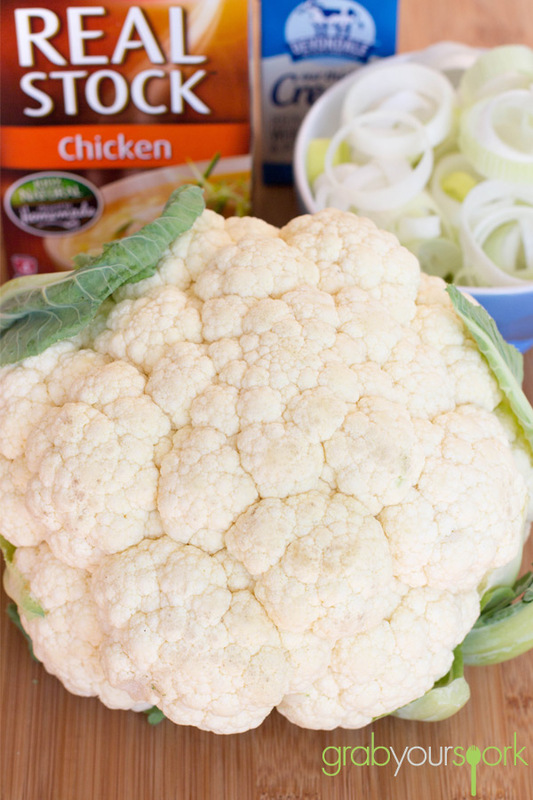 Once the cauliflower is soft, allow the soup to cool before blitzing it in the blender. From here you will be left with a light fluffy and already creamy tasting soup. For a bit of indulgence we do add a small amount of cream, however if you want to keep the soup healthier you can leave the cream out. 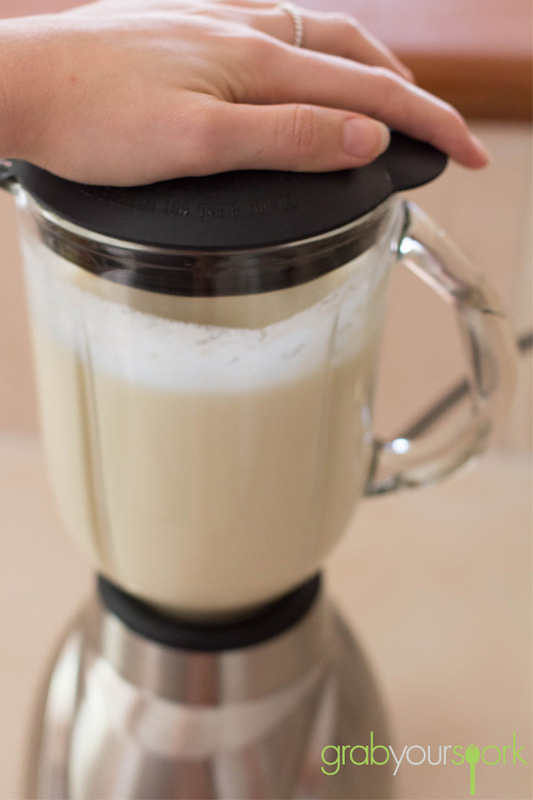 Once you have blended your soup return it to the stove to heat through. To serve I like to top my soup with some crispy bacon bits for added texture and saltiness! However, it tastes pretty good just on its own. 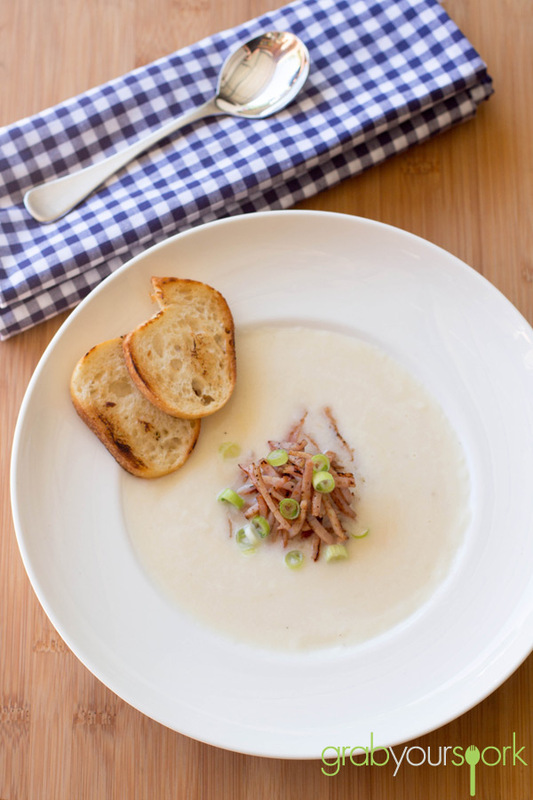 Simple Cauliflower Soup made with just 4 key ingredients. Add the cauliflower, leek and stock to a large pot. On a medium heat, bring the soup to a boil. 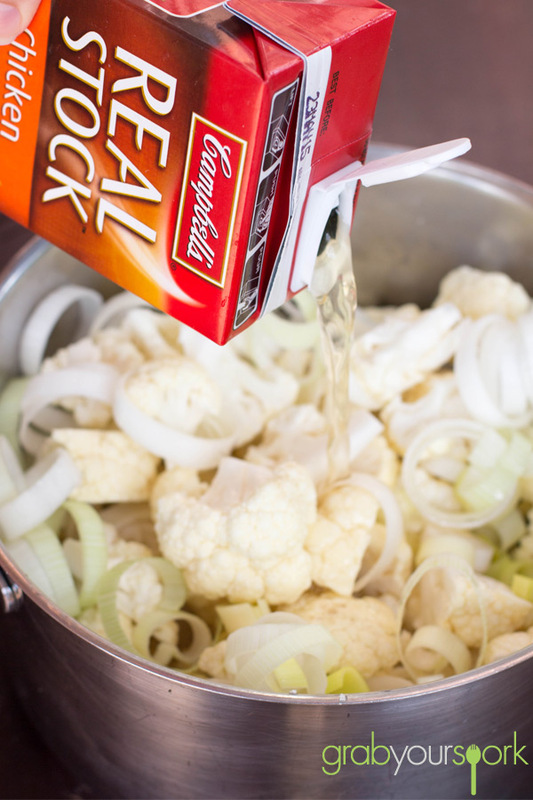 Reduce heat to medium-low and simmer, partially covered, for 15 minutes or until the cauliflower is soft. Set aside for 5 minutes to cool slightly. In batches blend the soup until smooth and return to a clean pot. Repeat with remaining mixture. Add the cream. Place over low heat and cook for 1-2 minutes or until heated through. Serve with crispy bacon bits or a simple slice of bread! Mmmm been thinking about cauliflower soup! Was checking out your choc cupcake recipe and saw this too! Glad I did! Will try it out soon!